Regional party implies the party whose area operation is limited and so their activities are restricted to only a few states. On the other hand, national party refers to a political party is a registered party that operates in more than four states of the country and their area of operation extends over the entire country. Political Parties plays an important role in the development of the country, as they are of different ideologies and approaches to social needs and the objectives of the nation. They bridge the gap between citizens and the government. A political party is accorded the status of a regional party or a national party by the Election Commission of India (ECI). Take a read of the article excerpt that explains you the difference between regional and national party. Meaning Regional party refers to a political party, which has its base in a particular region and has limited objectives. National party implies a political party that extends over the entire nation, in terms of area of influence. Symbol It can be changed and repeated in other state. It has a permanent symbol that cannot be repeated. Strength It should be strong enough in at least one or two states. It should be strong enough in at least four states. Aim To promote regional interest. To resolve national and international issues. The area of operation of a regional party is quite limited and their goal is also confined to the state only, i.e. it aims at promoting the state interest only. The voter base of the party is confined to the specific region or state. The regional parties have constituted government in some states and seek to implement their policies and plans. If the registered party occupies 6% of the valid votes cast in the states during the elections of the legislative assembly of the respective state and it acquires 2 seats in the State Assembly. If the registered party secures 6% of the valid votes cast in the state at the general elections of the lower house of Parliament, i.e. Lok Sabha, from the respective states and it acquires one seat in the Lok Sabha of the respective state. If the party acquires 3% of the seats in the State Assembly at the general elections to the assembly of the respective state or three seats in the legislative assembly, whichever is greater. If the registered party acquires one seat in the lower house of the Parliament for every 25 seats or any part thereof assigned to the state at the general elections to the Lok Sabha from the respective state. If the registered party obtains 8% of the total valid votes cast in the state general elections to the lower house of the Parliament from the state or to the State Assembly. A national party is described as a political party that takes part in the elections which are organised all over the country. The strength of the party differs from state to state, meaning that a party can be strong in a particular state and not in another state. The election commission has the right to declare a registered party as a national party. If the party occupies a minimum of 6% valid votes cast in any four or more than four states, in the general elections of the Lok Sabha or the State Legislative Assembly and it acquires a minimum of 4 seats in the lower house from any state. If the party occupies a minimum of 2% seats in the Lok Sabha, which are elected from a minimum of three different states. If the political party is acknowledged as a state party in a minimum of four states. A regional party refers to the party that obtains a minimum of 6% of the total votes in State Assembly elections and acquires a minimum of two seats. On the contrary, if a party occupies 6% of the total votes polled in the elections of the lower house of Parliament or legislative assembly elections in four states and gains four seats in the lower house then that party is awarded the status of the national party. A regional party symbol can be changed and repeated in another state. Conversely, the symbol of a national party is permanent which cannot be repeated. A regional party influences a particular region or state. In contrast, a national party has an influence over entire country. The regional party must win seats of at least two states. As against, a national party must win seats in at least four states. The regional party aims at promoting regional interest. On the other extreme, the national party aims at resolving national and international issues. Both regional and national political parties trigger the growth of the nation and work for the upliftment and welfare of the people. 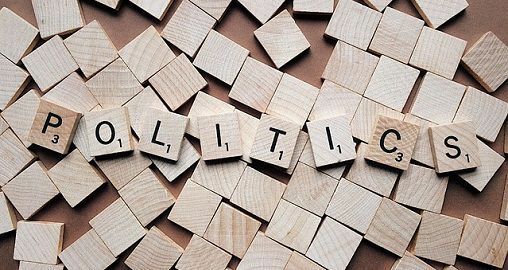 The national parties enjoy more privileges than regional parties in terms of collection allowed from the party funds, as the national party can collect more, but the regional party can collect the lesser amount.